Scriptures are littered with references pertaining to the importance of accepting and serving a spiritual master. But the path to a “bona-fide” guru can seem rather hazy at best, and fraught with danger at worst. This course is designed to help you understand the guru–disciple relationship on a deeper level, and thus demistify the entire process. Learn more about the qualifications of a spiritual master, how to recognize and choose a bona-fide guru, the significance and process of initiation, how to associate with your guru, the characteristics of a good disciple and his or her responsibilities in the relationship. 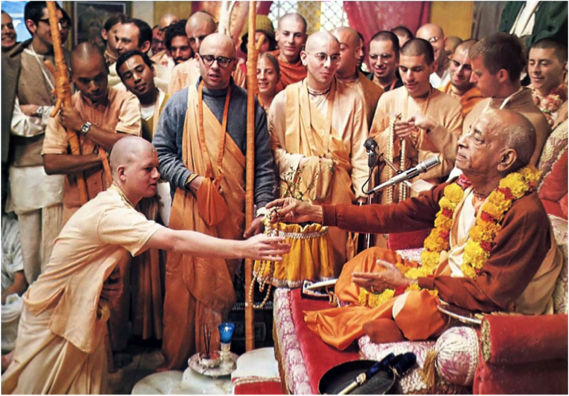 The course also touches on the particulars of what acceptance of a gurupractically means in the modern context of ISKCON today. Though this course is an essential requirement for those seeking spiritual initiation, it is relevant to anyone who wants to learn more about this most sacred of relationships. Please note, this course is mandatory for taking spiritual initiation.